Address: 25A Baghdad Street, Singapore 199664. Since after I resigned from my previous company, I did not manage to write any food reviews. One reason was I quite busy with dealing the situation which made me unable to concentrate on writing my food blog. Taking a break from the hectic working life looks good and the freedom after that is what I am looking forward. Currently, I am actively looking for next job in Singapore. While busy applying for new job opportunity, I still continue writing. I was back to Singapore for a while, to complete my Great Eastern Women Half Marathon and meet up with some ex-colleagues and friends. 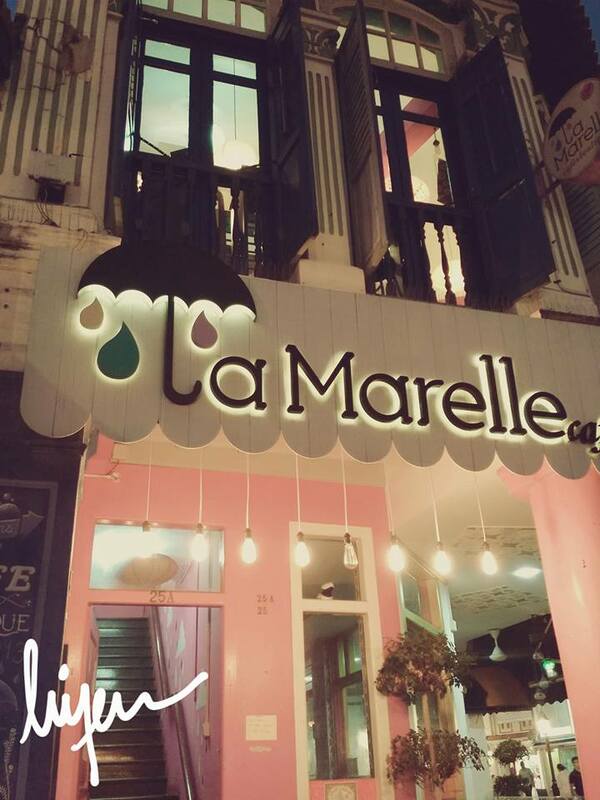 One of the friends booked me for a dinner at this colourful cafe located in the city, the La Marelle. I met her up at Tampines and took the MRT together to the location and met up with another friend. 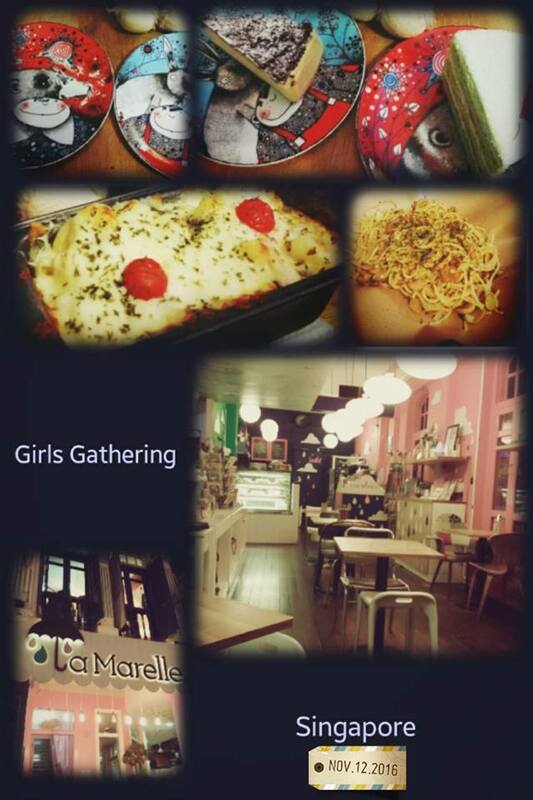 It supposed to be 4 girls’ date, unfortunately, another friends of us was sick. Let us look closer into the food which we ordered. 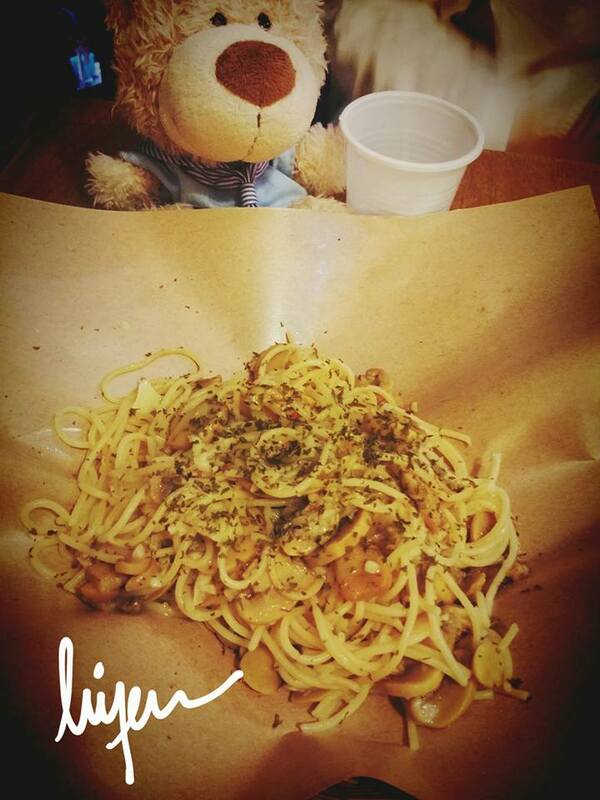 The Mushroom Aglio E Olio. It is suitable for those who want to go vegetarian for a day. It is quite plain even I choose to non-vegetarian cooking style (means adding lots of garlic). The presentation of the food also needs some improvement. Both of my friends think I ordered fried meehoon. The Mac and Cheese is overwhelmed with cheese and both of my friends cannot finish the food because the cheese will make their stomach filling. 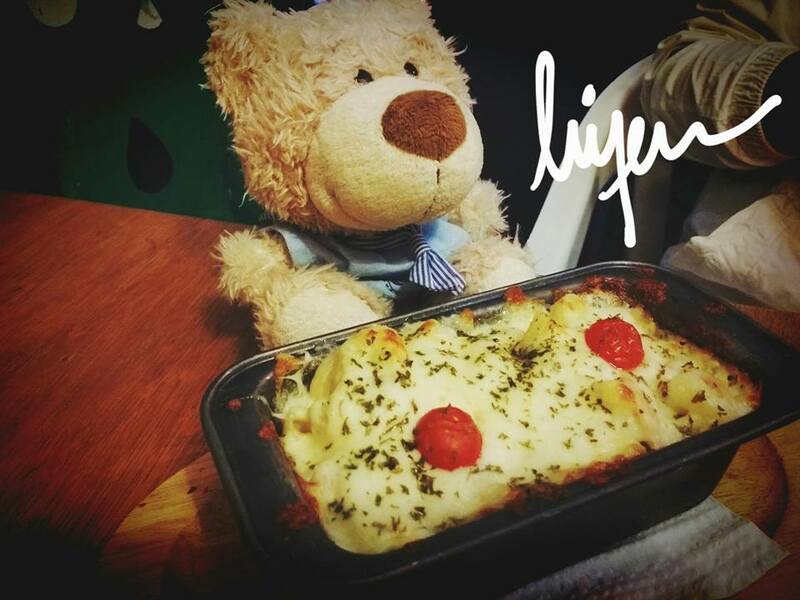 I get to taste a bit from my friend, seriously cheesy! We like the food presentation. 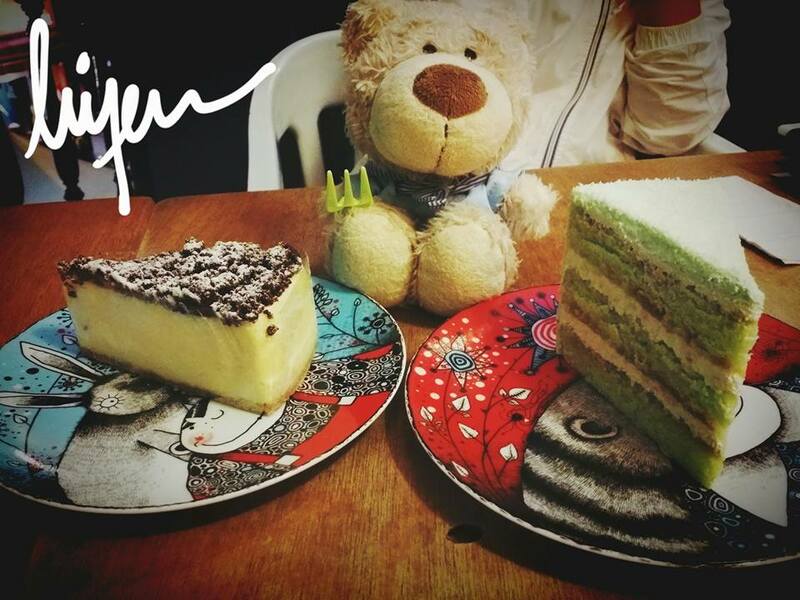 We order two cakes, the gula melaka cake and the cheese cake. Personally, I prefer the gula melaka cake over the cheese cake simply because of the unique taste from the gula melaka cake which make me feeling I should eat more! 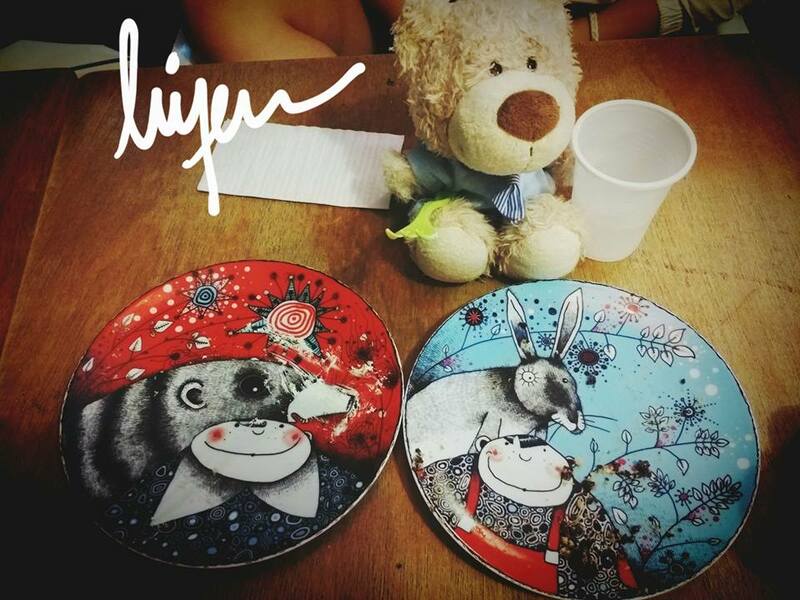 While enjoying the cakes, we looked around the cafe and found they are selling stuffs too, in which I bought some of the pocket sized notebooks. 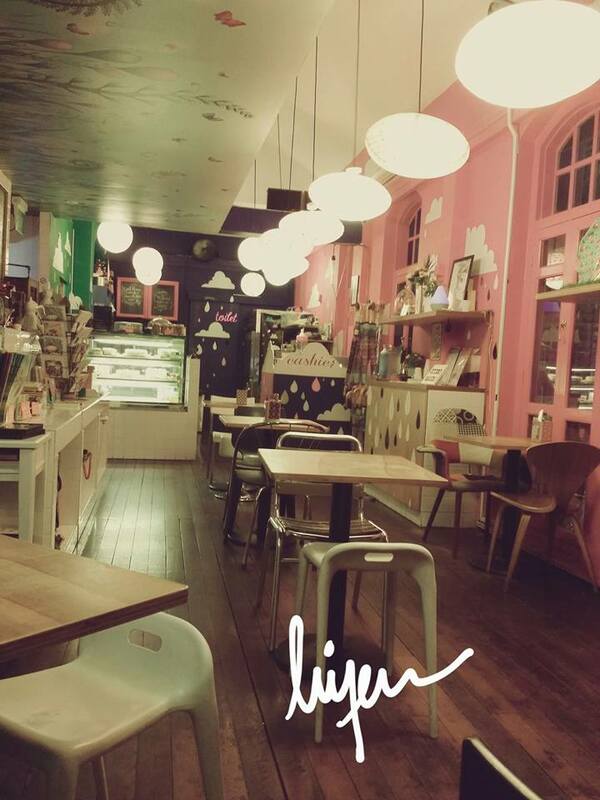 The interior of the cafe heavily painted with vivid colors and decorated with some beautiful decorations. When you visit this cafe, remember to look up the pinkish staircase to the second level of the shop. I do a little search online, someone mentioned the specialty of this cafe is the Iced Espresso. We did not order drink for that night, maybe, next time when I visit the cafe again, I will check out their drink menu again.